← Does Eating Late Really Lead to Gaining Weight? My favorite flavored granola is Bear Naked Granola that can usually be found in the organic section of your grocery store. They offer a wide selection including “maple pecan,” “banana nut,” and even “heavenly chocolate.” Not only does it add flavor but also a little texture to feel like you’re eating more than just yogurt. The benefit of plain Greek yogurt is that almost any fruit will go well with it. Add blackberries, raspberries, bananas, blueberries, or your favorite fruit and see how it enhances the flavor! Add a dab of honey as a natural sweetener. Stirring in a bit of organic canned pumpkin adds a boost of flavor that tricks you into thinking you’re indulging in a dessert. You may add cinnamon to taste. Honey and nutmeg are also good additives to obtain a similar flavor to pumpkin pie. If you enjoy yogurt for the consistency and don’t want to alter it then adding simple natural sweeteners will up the taste without changing what you love best. Try adding vanilla or coconut extract, cinnamon, honey or any other natural sweetener you can think of! It’s easy to spice up any food with the right combination of fruits, natural sweeteners and determination. Now go enjoy your yogurt! 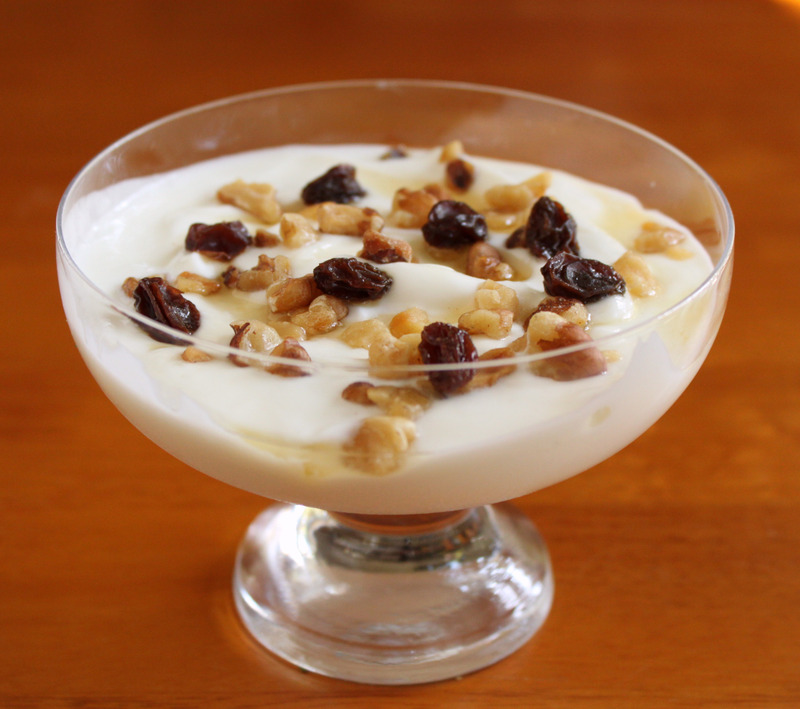 This entry was posted in Recipes and tagged Diet, health, natural, sweeteners, yogurt. Bookmark the permalink. Sounds yummy – I’m hungry!! Thanks! What are some other good sources of protein that are not meat? *Try adding almonds, seeds, and beans such as garbonzo and black beans to your salads. –Avocadoes (They also have more protein than cow milk as well as good fat, potassium, vitamin K, C, and more). –Salmon (good source of protein, low in fat, and loaded with omega 3′s). –Quinoa (Quinoa is actually a seed often considered a whole grain. It is delicious cooked and mixed with garlic, red onion, celery, carrots, and any of your other favorite vegetables)! Remember though, foods such as almonds, peanuts, avocadoes, etc. still contain a good amount of fat. Although it may be healthy fat…it should still be consumed in moderation. For example, while almonds may be a healthy alternative to a snack, don’t nosh on a whole can! Sounds yummy – I’m hungry!